Dolphin’s Pearl has its place as one of the most popular and oldest slot games from Novoline. 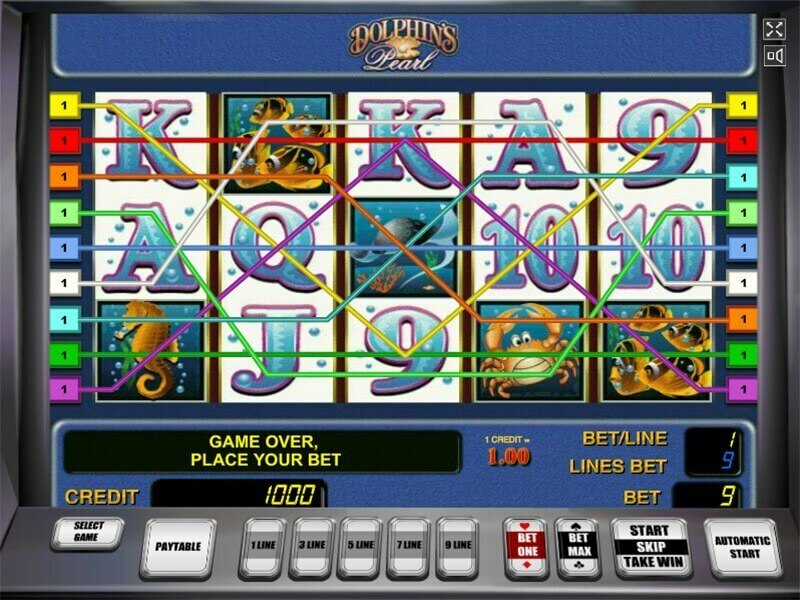 Apart from being found in the physical form across casinos worldwide, the game has also been making an impact on the web as part of the free dolphin games. The immense success in the field of Dolphin games online has led to Novoline coming up with a Deluxe version, which features improved graphics and the addition of one more payline. Apart from these changes, the Deluxe version is similar to the traditional Dolphin’s Pearl. It is clear that the overwhelming popularity of this game amongst Dolphin slots is the availability of numerous bonus features. As a result, players will be able to collect generous payouts. The Dolphin’s Pearl started out as a 5 reel game with 9 paylines. The arrival of the Deluxe version has added an extra payline, although both versions continue to be available. The theme of the slot machine is similar to that of an underwater world. It makes for a pleasant viewing, while graphics and design has been substantially improved in the latest version. Familiar sea creatures like dolphins, sea horse, fish, stingray, lobster, and oyster play key roles in the game. There is also space for characters like A, J, K, and Q, while numbers are not left out of the party either. The Deluxe version comes with 3-D graphics, higher resolution, and an overall better visual effect. The aim of the game is to achieve a combination of two to five similar symbols in the reel. As far as characters go, players are required to come up with combinations of three but symbols like lobsters require just two similar occurrences across the reel. Dolphin is similar to the Joker in a card game and it can combine with any symbol to produce a winning combination in the dolphin games. Often, the winning combination is taken from left to right but that is an exception when scattered symbol occurs. Scatter symbol can appear anywhere in this screen and can provide a winning combination along with a special bonus. Only Pearl Oyster qualifies as the scatter symbol in Dolphin’s Pearl. Dolphin games for free is becoming popular but Dolphin’s Pearl is at the top of the spectrum for a reason. The 5X multiplier in a separate section is one of the numerous features responsible. 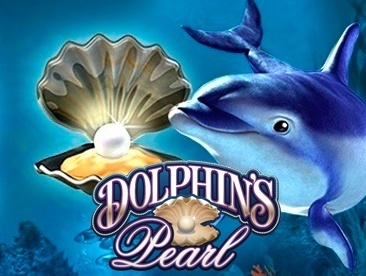 The big secret behind the hugely successful Dolphin's Pearl slot is to utilize all bonuses to their maximum potential. The trick is to use them at the right time to maximize the effectiveness. Like all slots, the Novoline slots are programed to pay out over the long run a certain percentage of money put into them. According to the manufacturer, Novomatic, the Dolphin’s Pearl slots have a relatively high average return to player (RTP) percentage of 92-95%. When playing Dolphin’s Pearl on the maximum wager, it is entirely possible to win as much as 900,000 coins in this slot. Dolphins Pearl is a pretty volatile game at heart, but that is in part what makes it so exciting to play. It’s a game that really rewards perseverance and could leave you waiting a long time without winning big. When you do win big though, you win really something of major note. Novomatic has a delightful habit of taking an already popular slot and reinventing it for the better. Sizzling Hot Deluxe is one such game that benefits from added features, clearer graphics and a huge jackpot which can pay up to $100,000. Just like many other Novomatic titles, you’ll find the Gamble feature present here, with the standard card game on offer. You could double your winnings but there’s also the chance that you’ll have to forfeit your prize too so not an option for the faint of heart!